Moses Lake is the largest city in Grant County with over 20,300 residents. It is located in eastern Washington on a lake of the same name, which was dammed during the Columbia Basin Project in the early 1900s and made it the largest freshwater lake in the county. The lakes and reservoirs in this area are crucial to the success of local agriculture; this part of the state only receives about 8 inches of annual rain compared to Seattle’s 40 inches. This was once the home of Larson Air Force Base, now Grant County Airport. The airport remains one of the largest in the country and continues to serve the military, commercial airlines, and Boeing as a heavy jet testing facility. There are several other major corporations in Moses Lake and the short average commute time here (15 minutes) suggests that the majority of residents live and work within the city. 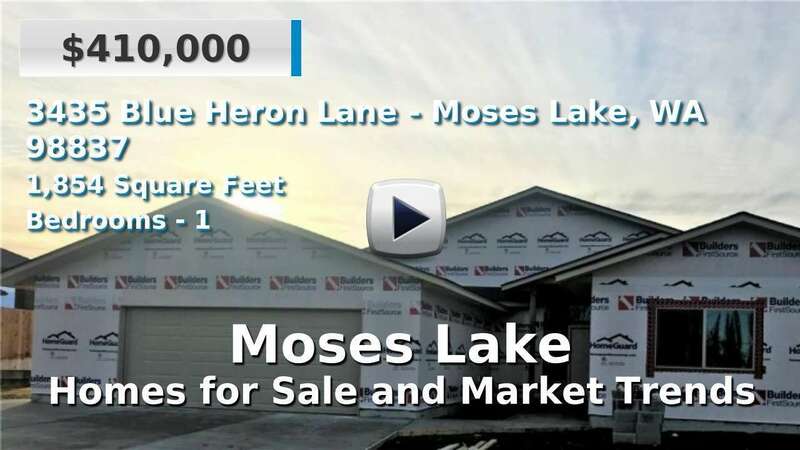 There is a real nice variety of homes and condominiums for sale in Moses Lake, ranging from well-established to new construction with a few custom built homes in between. 4 Beds | 2.5 Baths | 2516 sq. Ft.
2 Beds | 1.75 Baths | 1540 sq. Ft.
6 Beds | 2.5 Baths | 2446 sq. Ft.
3 Beds | 1.75 Baths | 1232 sq. Ft.
1 Beds | 1 Baths | 1080 sq. Ft.
Secluded waterfront lot in Peninsula! This large, square lot, features 181 +/- feet of water frontage. Enjoy premier location, and phenomenal view! 3 Beds | 1.75 Baths | 1507 sq. Ft.
4 Beds | 2.75 Baths | 2600 sq. Ft.
4 Beds | 2.5 Baths | 3267 sq. Ft.
Beautiful corner lot in upscale, desirable neighborhood with community boat launch and just minutes away from town. 4 Beds | 3.5 Baths | 4120 sq. Ft.
4 Beds | 2.25 Baths | 2417 sq. Ft.
5 Beds | 3.5 Baths | 2920 sq. Ft.